Hex-A-Links 2 cm Interlocking Cubes or snap cubles are great for learning math concepts, measurements, patterning or just for plain construction play. Hex-a-Link™ interlocks positively on all six sides. The cubes come in 10 color. 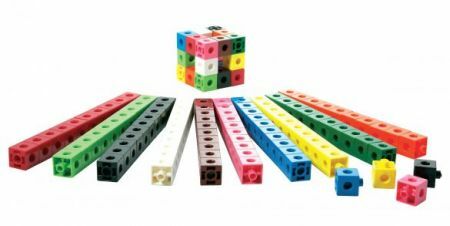 Each side of all the cube is 2cm (3/4"). Hex-a-Link™ has a unique connection design that is guaranteed not to wear or loosen with constant use.